“My husband and I chartered a boat for a week in August. Our 47’ charter was “much” larger than we were used to and of course we were a bit nervous over so much to learn. 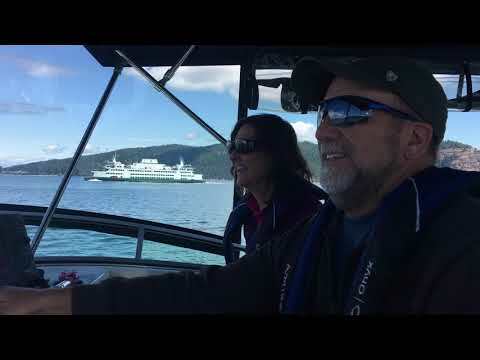 We opted to have a captain on board to teach us the required elements necessary to navigate the San Juan islands and gain knowledge operating the boat in the area. Tom was the captain. He respects your privacy, was extremely knowledgeable, detailed and very, very patient in going through everything with us, but especially with my husband who was driving and docking the boat. However, he made certain I understood how to properly become a deckhand and bring in the boat, communicate with my husband and tie lines securely. He stressed how important proper and succinct communication is between the helm and the mates/deckhands. He went above and beyond! All with kindness, grace and humor. With Tom’s training, we had the confidence to handle the boat after he departed and truly feel we are now well trained to handle the same size boat or even a bit larger. Since arriving home, we have not stopped talking about our wonderful and fun-filled trip with you. It was undeniably the vacation of a lifetime — the best ever. Our memories of the trip will be everlasting. As we discussed before we left Anacortes, it is exceedingly difficult to describe the entire trip and the enjoyment you provided. Trying nonetheless, we cannot thank you enough for your hospitality, knowledge and assistance in making our time with you an extraordinarily relaxing, fun and informative time. The trip you planned for us exceeded everything we were looking for in this type of vacation and we are already talking about doing it again. We would also like to thank you for sharing your extensive knowledge and guidance about yacht handling and operations. We are anxious to start applying all of your training! In closing, we earnestly believe Capt. 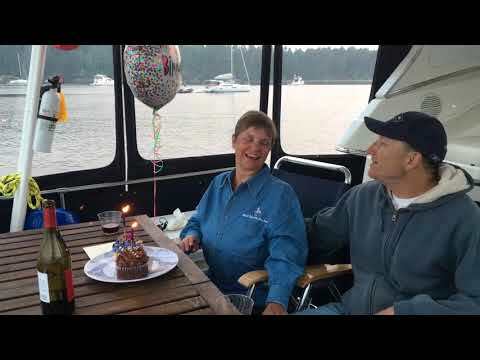 Tom and Pacific Northwest Vacation Yacht Charters cannot be beat! Thank you again for the wonderful vacation. “Due to being our first charter, I was required to receive training. While at first apprehensive, Tom Griffin provided my family and me careful, considerate and accurate training. 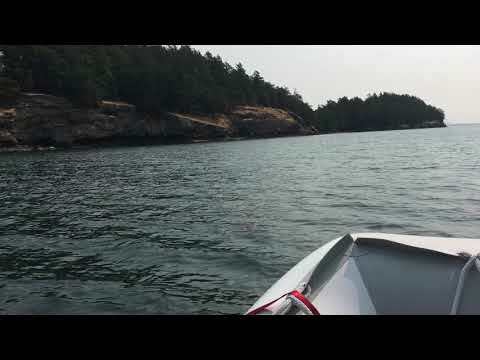 We have cruised with Captain Tom a total of four times – in the San Juan and Gulf Islands (once as far north as Desolation Sound). (c) making the trip a fun and rewarding experience for each traveler. Captain Tom is an extremely knowledgeable Captain and Instructor. My husband and I wanted to learn “bigger boating” technique and in four days we were well equipped to head out on our own. My big hesitation was having a stranger on the boat with us. Tom was very accommodating with giving us space. His presence was never obtrusive. We will definitely have him Captain us again!